This wheel thrown porcelain teapot is the perfect size for two. 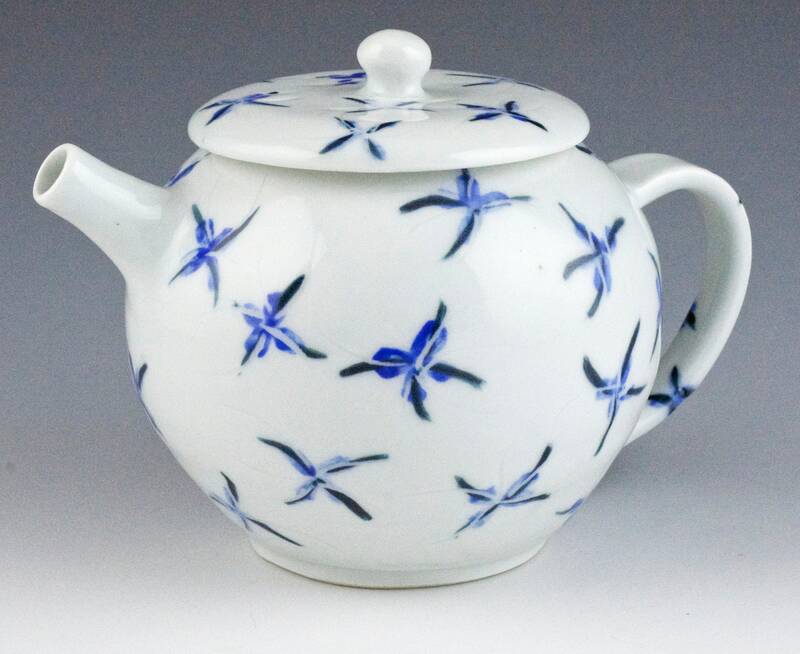 After being constructed by hand, the teapot was hand painted in small blue flowers, and then glazed in a glossy clear glaze. Holds 22 ounces.